WILL BE FINISHED IN A FEW WEEKS!! Come see this beautiful HOME! 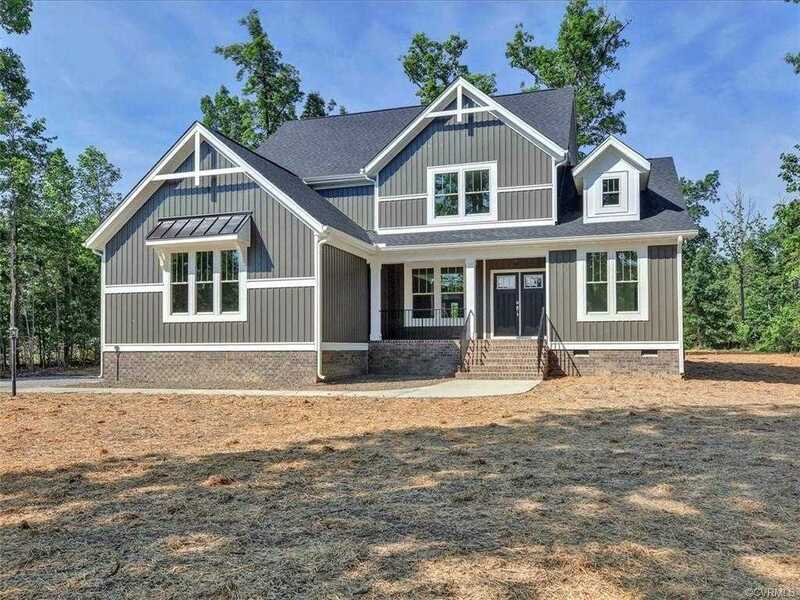 The Townsend Grand Farmhouse at Hickory Hill by CraftMaster Homes! It will have a beautiful Granite gourmet kitchen with an L shaped island, Open Study and Dining Room, Coffered ceiling in the Family room, Crown molding in the Master Bedroom and hall, Skylights and French doors in Family room, Double Glass doors from Study into Family room, and the Larger Bedroom upstairs (could be 2nd Master) has a separate large bathroom and 2 closets! 2 Car Side Entry Garage! Over a 1 acre lot in a beautiful master built community with walking trails and privacy BUT only 4 minutes to the Highway or the town of Ashland! Please, send me more information on this property: MLS# 1834486 – $610,599 – 9113 Officer Ln, Ashland, VA 23005. I would like to schedule a showing appointment for this property: MLS# 1834486 – $610,599 – 9113 Officer Ln, Ashland, VA 23005.